SuperZoo, the National show for pet retailers, is once again incorporating the Groomer SuperShow into the three-day pet industry trade show that is taking place at the Mandalay Bay Convention Center Sept. 13-15, 2011. At the Groomer SuperShow, professionals within the grooming industry have the opportunity to learn about the latest pet grooming products, trends, techniques and timesaving innovations by attending various seminars, observing and competing in various contests, and visiting with various industry experts. The Groomer SuperShow Seminars at SuperZoo University offer a variety of relevant seminars taught by some of the grooming industry’s leading experts. These groomer-geared seminars offer in-depth, cutting-edge content in order to give groomers the tools, tips, and strategies needed to make their business successful. 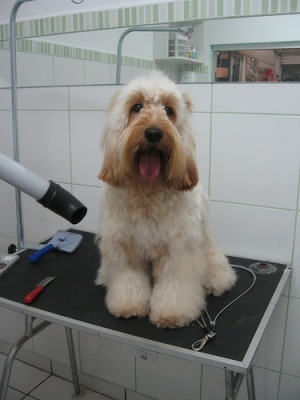 For a detailed list of the seminars that are being offered as well as the experts that will be speaking, visit http://superzoo.org/groomer-supershow/grooming-seminars. ~ Best First Time Competitor – This competition is open to anyone who has never competed, who is entered in an Entry Level Competition, and who has indicated on their original competitor entry form that they have never competed in a GroomTeam (GT) Sanctioned contest. ~ Creative Styling Competition – Competitors will be judged on creativity and technique in this exhibition of colorfully-staged, uniquely-presented and exquisitely-groomed dogs while using props and music for the presentation. ~ Rescue Rodeo Competition – Groomers must create a clean, well groomed dog, using rescue dogs from shelters. Not only will the top 3 placements win a cash prize, but the supplied dogs’ rescue organization will also take home a cash donation. ~ Groomer Super Jackpot – The first 40 competitors to sign up for this open level grooming competition will compete for the $20,000 cash prizes with First Place being $10,000. In addition to the Grooming Contests, the World Pet Association (producer of SuperZoo and the Groomer SuperShow) has partnered with Grooming Business Magazine to present the Crystal Awards for Grooming Achievement. The prestigious awards honor grooming excellence and professional skills within the industry. 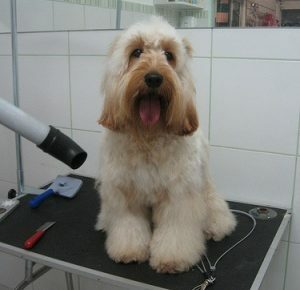 For more information about the Grooming Contests, the Groomer SuperShow, and SuperZoo, visit http://www.superzoo.org. The World Pet Association (WPA), formerly the World Wide Pet Industry Association, is the oldest industry organization promoting responsible growth and development of the companion pet and related products and services. As society’s “humanization” of pets grows stronger, WPA knows it is important to inform and educate the general public to ensure safe and healthy lifestyles for our animal friends. WPA plays host to America’s Family Pet Expo, the largest consumer show in the world, hosted annually in Costa Mesa, Calif., and beginning in July 2011 in Puyallup, Wash. 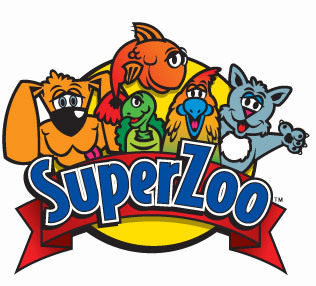 The organization also holds SuperZoo (http://www.superzoo.org), an annual pet industry trade show that showcases a comprehensive collection of exhibits and offers a variety of informative educational seminars known as SuperZoo University. WPA also offers Pet Industry Briefs, a free weekly e-newsletter containing vital industry information at your fingertips. For more information on WPA or to sign up for Pet Industry Briefs, please visit http://www.worldpetassociation.org.